Have a happy (and sunnier) Halloween! If my memory is correct, the Halloweens of my childhood in Vermont were always super-dark and freezing cold (Snow? Fairy costumes are a bust when you have to wear your winter coat over them). This chilly thought made me think how nice it is for tonight's trick-or-treaters to get that extra hour of light, since we haven't yet turned back the clocks. Well, apparently I wasn't the only who thought it would be nice for Halloween to have a little more evening light. According to this online New York Times piece, An Extra Hour of Halloween Daylight? Thank the Candy Lobby, the candy industry lobbied hard for this extension of daylight savings, thinking it would spur additional candy sales. This study compares changes in the income and wealth of veteran and non-veteran households; veteran small business households with veteran non- business households; and veteran small business households with non-veteran small business households from 1989 to 2004. It classifies all households with a business owner/manager or self-employed individual as a business- owning household. This study uses the 1989 through 2004 Surveys of Consumer Finances (SCF), conducted by the Federal Reserve Board as its primary data source. A full copy of this report is available here and the research summary can be found here. Should you need further information, please feel free to contact Charles Ou at (202) 205-6533 or advocacy@sba.gov. This article appeared in yesterday's online version of the Wall Street Journal. Misleadingly titled "Four Danger Signals When Franchising," (it ought to read "When Buying a Franchise"), it re-visits territory that we've explored in this blog over the years. Nevertheless, this is practical information to review with our clients. 3 - High-pressure sales tactics - Which ought to speak for itself. A lot of this is common sense, but I've heard many stories from all of you over the years about clients who bought a franchise first, then asked questions later. That's the wrong order to do things. Today is the last day with the SBDC RN for Alexis Mokler who has been our very diligent library intern. Alexis is continuing her Master's in Library Science course at SUNY Albany. We are always happy to have the help of interns but are especially glad when we have as good an intern as Alexis, able to take on oftentimes troublesome projects and give us some much needed help with research. We wish her much success and thanks for all her good work! Do you get too many catalogs in your mailbox? The SBA Office of Advocacy-funded paper "Are Male and Female Entrepreneurs Really That Different?," by Erin Kepler and Scott Shane, finds that gender does not affect new venture performance when other factors are controlled for. However, several factors--differing expectations, reasons for starting a business, motivations, opportunities sought and types of businesses--vary between the genders, and these result in differing outcomes. Such observations should be taken into account when comparing the outcomes of ventures across genders. The data used for the study was from the Panel Study of Entrepreneurial Dynamics (PSED) focusing on businesses started in 1998 and 1999. Not long ago, Dale Rice sent me this article from the October 2nd Buffalo News. It reports the desire of the mayor of East Aurora (about 15 miles southeast of Buffalo) to ban outdoor digital signs in that village. Proposing to ban any kind of sign is fraught with legal & Constitutional issues, as signage (as a form of commercial speech) is protected under the First Amendment. Hundreds of cases have been brought up (and won) by businesses over the years, challenging the legality of their local codes. If passed, the proposed sign code for East Aurora could eventually meet this same fate. Last week, I was part of a panel presentation on the importance of fairly-constructed, legally-sound sign codes. In the audience were town and municipal officials, inspectors, and code enforcement officials who were eager to learn about the subject. Codes exist all over the country that impose restrictions and obstacles on business owners when it comes to the sign outside their front door, and they're often written by people who aren't aware of the impact of their words. Bonus points to those in attendance, because they're trying to get things right. At this same presentation, I heard numerous stories from sign manufacturers (most of them small business owners) about difficulties they encounter in getting approval for their clients' signs. Many sign codes are riddled with inconsistencies, which makes compliance needlessly complicated for small business owners trying to get themselves up & running. Unfortunately, this Buffalo News article reflects a situation that's all too common across the country. Sign codes are often written under the theory that signs can be a distraction to drivers. Others are written because a town wants to strictly enforce a certain look. Some incorporate both. For the former, no data exists that shows signs as a menace to auto traffic (while dozens of studies prove that good signage is actually a big help to drivers). This is something that our clients encounter all the time. Sign codes can be challenged legally, but litigation is time-consuming, and far too expensive for a single small business to undertake alone. But litigation doesn't have to be the way. One of the themes of the conference was to encourage cooperation between local governments & their business communities in creating reasonable sign codes. While there, I heard specifically about how digital billboards can be used by towns to inform their citizens of weather emergencies, traffic accidents, Amber Alerts, and community events. That's a benefit to a town, and digital billboards are increasingly the best tool to get that critical job done. We've written about all of this in our What's Your Signage? publication. Again, these are things that our clients face all of the time. The best, fairest sign codes come about when community officials work with their business sector in designing a code that enables a proper balance between living standards and commercial opportunity. In addition, the International Sign Association is staffed with people who are eager to help government officials in drafting sign codes that will not expose them to any future legal action. And ask your clients about their experiences with signage - I'm curious to know just what they went through. I'll be doing more of these presentations in the future, and the more real-world scenarios I have to share, the better. This is purely for entertainment purposes, at least to my mind. The World 66 Travel Guide a wiki that will let you create a map of all the places you have been and to create a travel guide of your own. It calls itself an "open travel guide". You can read travel information from individuals like yourself and learn as I did, that I have only visited 5% of the world. You can also list individual travel to US states and Canadian provinces, along with the countries of the world - though you may not always agree on the boundaries and definitions of those countries. For instance, you can read the England travel guide but you cannot isolate England as a country on your map. It will select all of the UK (including Scotland, Wales - it has Ireland (both presumably) listed separately. My profile also defines me as "Travel Yup" which may not bevery complimentary but is fairly accurate. I have a new favorite database. Its name is DemographicsNow. I’ve always enjoyed questions of a demographic-nature, but this tool makes answering them considerably easier and more fun. Want to know where to locate your new business? The database can compare up to ten geographies at once, comparing consumer expenditures, income, existing businesses and employees, or retail sales potential for almost a hundred categories. It has all the usual census data, including age, race, etc, but its easier to choose your exact geography (the whole U.S., state, metro areas, cities, zip codes) and you can use a radius around a zip code. Seems like a great way to learn more about people and places, and a helpful business decision-making tool. Scarborough Research, the leading consumer research firm measuring the lifestyle and shopping patterns, media behaviors and demographics of American consumers, released an analysis which finds that the South reigns for eBay Visitors. But Rochester, NY does OK, too. It's been almost two years since I first wrote about this resource in our collection. I guess our blog has reached the age where we can dip into the archives once in a while to review some older posts. I won't repeat it verbatim (no need to plagiarize myself). However, I have done a few searches for venture capitalists this week, and, in both occasions, lacked information to create a more focused list. Seed - Concept or idea stage. Money needed to research market and concept feasibility. Startup - Pre-operational financing of a new business. First-stage - The business is operational but needs capital to hire additional employees, purchase additional equipment, and roll out its product and marketing program. Second-stage - Initial sales results are encouraging. Now, additional capital is needed to fund expansion of production and marketing. Help us out, and keep these in mind when making a VC request. Owens, who also serves as assistant administrator for Regulatory Enforcement Fairness at the SBA’s Office of the National Ombudsman, leads the national effort to ensure fairness in federal regulations on small business, while working to diminish disputes between small businesses and federal regulatory agencies. WHAT: Chat participants will have the opportunity to learn more about how the Office of the National Ombudsman can help small business owners with unfair and excessive federal regulatory enforcement, such as repetitive audits or investigations, excessive fines or other unfair actions by a federal agency. 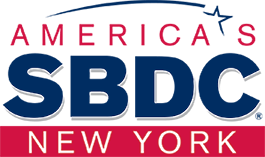 The SBA’s live Web chat series provides business owners the opportunity to discuss online relevant issues with experts, industry leaders and successful entrepreneurs. Participants have direct, real-time access to the Web chats via questions they submit online in advance and during the session, and receive instant answers. WHEN: Thursday, October 18, 2007, from 1 p.m. to 2 p.m., ET. HOW: Chat participants can join the live Web chat by going online to www.sba.gov, and clicking the “Online Business Chat” icon. Participants may post questions for Owens before October 18th by visiting here, and posting their questions online. To review archives of past Web chats, visit online. I get a number of library newsletters via listserv and one of them is by Mary Ellen Bates of Bates Information Service. She covers a huge number of sources with a little brief about each and today I received one on translators on the Internet. And I note that the contribution was originally from Barbara Verble so it is truly making the rounds. There have been language tools and translators available for some time on the Internet, they are not terribly effective, but still helpful if you want the gist of a passage. While I try not put too much faith in them, I still use them. My options are often limited though to a very few though because I usually need Danish translated and many do not have languages outside of French, Spanish, Portuguese, and Chinese and the other most popular languages. World Lingo offers a translation service into several major languages and even includes an email translator - new to me, that translated text and sends the message. Not included in their list but one I use most frequently is Langenberg which lists several translation engines in one page and includes InterTran which offers Danish and Korean. Their link takes you to translationexperts.com where they offer a number of products to buy as well including Palm products. On the Langenberg site, the sections are split out to translation - Word or Phrase; Identify or Guess the Language which is cool; Translate One Word at a Time and Translate a Web Page. I must also mention a new favorite: Gate2Home which offers a keyboards for other languages online. The companies are broken down by category, including, but not limited to, automotive, credit, financial, stores, internet and products. It’s also nice to see which companies have real people answering the phone from the very beginning of a call. Have clients interested in providing better phone customer service? This May 2007 NPR report, "Improving Customer Service Over the Phone" discusses corporate training for customer service representatives, and offers examples of some good and bad techniques. Publication 910 (10/07). I have a peculiar interest in the fact that while some codes are well-delineated, others are cut off at the three-digit level. The weather this week has been far too gray, which should not be the color of autumn. To get around this (if you actually want a little color), this page offers three links to cool videos of changing foliage in different parts in Maine. It seems the trend to be unique is gathering strength. We notice it in the types of requests we get and in the success stories that we come across. People want their wedding to be "unique" and "special" with personalized favors and cake toppers. Customized m&ms, ketchup bottles, hershey bars, cereal boxes, soda bottles, gift cards, soaps, design-your-own totes and jeans, it seems like whatever you can think of, you can probably personalize it. I enjoy my iGoogle page with all my own source choices grouped in one place - we've become accustomed to having our way and we want to express our individuality through the products we buy. We've been seeing ways to personalize your car or your kitchen mixer. This is an interesting monthly bulletin and you can also read all of this sites well-considered trends. This week I was trying to track down information on travel-related websites and found Consumer Report’s Webwatch. Their reports focus on several industry areas, including travel, search engines, health, e-commerce and finance. They also offer these same industries guidelines for improving their web credibility. These five guidelines to promote Web credibility would be helpful for anyone working with a business website. Joel Saltzman is a "speaker, facilitator, consultant, and creator of the 'Shake That Brain!' system - for innovative solutions and transformative thinking." He has an entertaining newsletter that one can subscribe to for free. It's from that website that the title article came from. It could have just as easily come from his Shake That Ethics Brain blog, which is described as "Business Ethics Made FUN, EASY and PRACTICAL." "Angel investor groups across New York State"